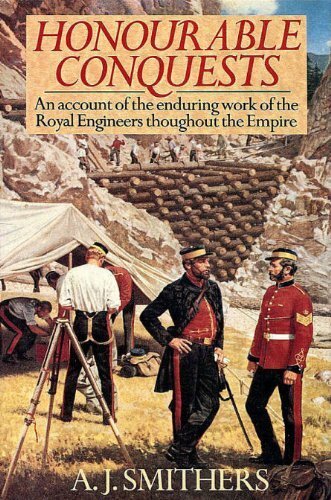 I've recently ordered this book, but wondered if the illustration on the front accurately depicts the uniform of 1873 onwards to 1879, including waistcoat. The officer in the illustration is wearing a frock coat rather than patrol jacket. I imagine that he is meant to depict a senior commanding officer of the R. E., as there’s something I recall about them wearing frock coats to distinguish them. I will see if I can find the source on that for you. It is the best image I've seen of this time-scale, especially seeing the waistcoat underneath, which I can't make out clearly if the pocket of which has a button fastening, and one at either end as part of the design, it blurs on enlargement. I'm hoping when the book comes the front cover illustration is given more details about, as in where and when. I'm assuming wearing the frock coat is how they would normally be presented, but the patrol jacket more practical when on horseback, unless the former got phased out completely, at least when on active campaign. I knew I had the answer to it, it appears in the 1874 Dress Regulations. Pages 44-5, Royal Engineers. The Frock was the prescribed dress for Regimental Field Officers. The Patrol Jacket was for officers under the rank of Regimental Colonel. All the above also appear to have carried on beyond the 1881 Dress Reg’s. Book arrived. Painting is ‘Cariboo Road’ by Rex Wood. Fantastic painting when seen to its full length. No mention of Anthony in index, but certainly Colonel Elias Durnford, CRE Quebec. I was in Quebec back in September last year. There is great family link between there and the Durnford, in fact someone you know has the name Wolfe as one of their middle names. Not sure who has Wolfe as one of their middle names...or am I just being a bit stupid to not know ? The book is interesting too, as inside the front cover written in pen is the name of its past owner, marked as a Corporal of the Royal Engineers 1952. Additionally, inside the book is the portrait of an officer known as one of the RE ‘Immortals’, which I’ve never seen used in this context. Any of the Durnfords given this title too I wonder ? Anthony in his own way I guess, but for different reasons, depending on one’s point of view. It is Liz, who has the name Wolfe as one of her forenames. Not having the book I don’t follow the context of the use of the expression ‘Immortal’ - so I can’t comment. I’ve been discussing a few topics with another descendant on the Zulu War Facebook pages, who has their own page about Col Durnford and the family. Never really asked if they have contact with Liz, certainly seems very knowledgable on the family history, very interesting info. That’s a full-dress tunic, I’ve not seen any evidence of it being worn in the field in 1879. Strangely, though I should know better, I keep imagining Chard wore a patrol jacket during the defence of Rorke’s Drift...just can’t get rid of the notion, but evidence suggests otherwise...him being an RE officer I guess.